Security Software is a protection application for all types of portable media including USB flash drives, external drives and memory cards. With USB Security Software, you will never have to worry again about lost or stolen USB/External drives. USB Security is fast, reliable, and PC independent, making it the most flexible and robust portable data protection software in the market. Protecting your sensitive data with USB Secure is a one-click process, requiring no lengthy installations. Access to your protected data on a portable drive is convenient too. You can choose to open and browse your data sets or simply explore as read-only. USB Security is the perfect choice to prevent any unauthorized use of your USB drive. As it is common to transport the date from one computer to another and USBs have become very popular to transport the data because of their small size, portability, and convenience. But all this also makes data-breach a reality. 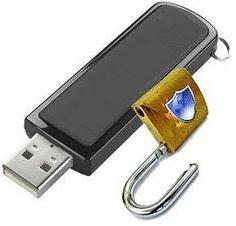 USB Security software safeguards the data against these threats by preventing any unauthorized usage of your devices.